Mission: Develop a Web site for Educational Project ‘Future Urban Life’ . 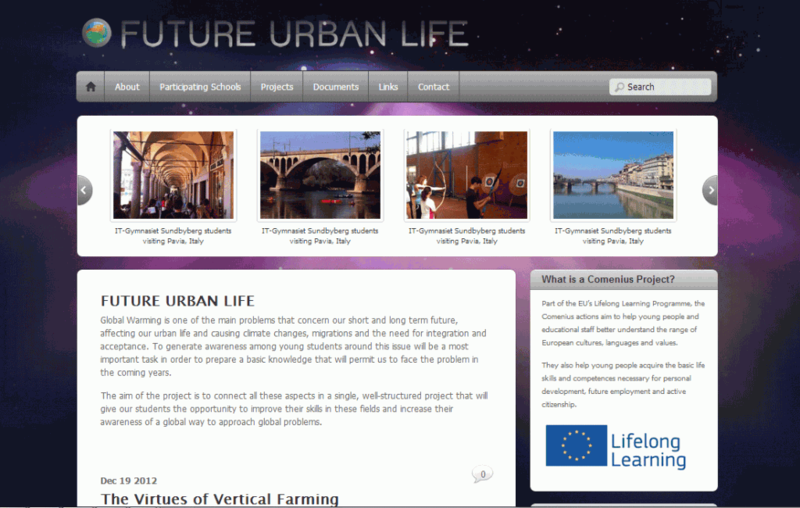 Web site will be used to display information and different Student Projects related to ‘Future Urban Life’ theme. The Web site is based on WordPress CMS system to allow Project group members to update the content without need of skills in internet programming. The Web site is also based on ‘responsive design’ which means that the web sites design and layout adapts to different types of devices such as computer monitors, tablets and mobile phones.